American Express has recently begun taking back points from people who they think MSed to meet the minimum spend. Data-points on this starting coming in last year, during the summer, after lots of people applied through one of those leaked links, that are supposed to be targeted, but are somehow public. Those offers show up for a few days, or even hours and as expected, tons of people apply, and surely Amex notices. This was previously covered here. THE FOLLOWING CHARGES DO NOT COUNT TOWARDS THE THRESHOLD AMOUNT: FEES OR INTEREST CHARGES; BALANCE TRANSFERS; CASH ADVANCES; PURCHASES OF TRAVELERS CHECKS; PURCHASES OR RELOADING OF PREPAID CARDS; OR PURCHASES OF OTHER CASH EQUIVALENTS. If American Express suspects that cash equivalents were used in meeting the spendthey will freeze your Membership Rewards account. When this happens, you won’t be able to use your points. This happened even to some who didn’t break the rules. The process of getting the points unfrozen was sometimes complicated, but I believe almost everyone was successful in getting use of their points again. If Amex determines that cash equivalents were used in meeting the spend, they disqualify the purchases and claw back the points. What if you already transferred the points out to a travel partner? Well you aren’t off the hook either. Apparently Amex will just make your account balance negative. You can still fight that, but it will be much harder. We knew this already, but some a new case that came up on r/churning today shows that those “leaked links” are even more risky than what we previously thought. In this data point, a new Amex Platinum card was opened over Thanksgiving, through one of those leaked links and there was no manufactured spending involved in getting the 100K bonus. But the points were still frozen and then clawed back. However, the twist here is that the 100K bonus from the Platinum card wasn’t clawed back. It was the bonuses for other previously acquired Amex cards instead. Bonuses on the other cards were received after some manufactured spending. A total of 175k MR points was clawed back (75k BGR, 50k PRG, 25k Gold, 25k Green) and those cards had even since been closed. So it looks like these links that are mistakenly made public, raise some kind of red flag on your account. 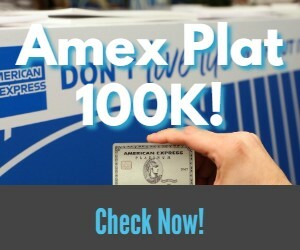 Amex might look through your other bonuses and then claw those back, if you purchased cash equivalents. Even if you close you cards or use your MR points, you are still at risk. It is now more important than ever to understand your requirements as a customer, to read the fine print and to make sure you have dotted your I’s and crossed your T’s. If not, you could run into lots of problems that will cost you thousands of dollar. Did you have your points frozen or clawed back? Are you fighting Amex? What are your thoughts about this? Let us know in the comments! Next articleHighest Ever Bonus Returns: How to Get 35K on the SPG Amex Cards! What is past not really past? Do vgcs purchased at cvs count as ms in this case? High time to dump amex. It’s not like they’re the only game in town – at least not any more – not even the best nowadays with the improvements from Chase and Citi. Perhaps if a larger amount of people did that it would affect their business and change their attitude. I’ve done my part and am down to one, no annual fee, everyday card. @CJ – So you don’t like Amex. OK. How long do you think it will be before the other two major banks adopt the same policy? Where will you be then? Out of the game! You know, banks are not stupid. Points cost them money. They are used as an enticement to attract real customers, and make money from them. When their accountants show that they are losing too much money on this, the entire game will end for us all. Short sighted people that want to MS everything may kill this for all of us. So please play by the rules. Fake news is when peole say, “I believe”. Beliefs are not news. Facts are news. Why not get the facts before righting a clickbait article? Any MS involved to get those points that were frozen? I think they did freeze lots of accounts back then. Glad it worked out. Correct me if I’m wrong, but I’ve not seen anything to suggest review or clawback on non-MR cards? For example, I have an SPG business card for which I met the spend with partial MS. I am now working on the spend for a business Platinum, which will tax every single bit of organic spending I can do over the next few months (plus maybe more). So…..I cannot afford to really put any more toward the SPG (and I have like 10 days left). Ever heard of Starpoints being clawed back? Correct. I haven’t heard of clawbacks on other currencies besides MR.
Just wanna double check whether you have heard any new SPG related claw backs lately or MS on SPG is still safe. Thanks! I haven’t seen any clawbacks on any other currencies besides MR points, but I would still suggest to try and put as much organic spend as possible with Amex cards, just to be safe. And yes, same DDG 🙂 https://milestomemories.boardingarea.com/miles-to-memories-update/. Lot of hyperventilating going on here…. I’ve been asking about this language for years….. often point blank, and time and time again on ms threads, I’d get the knowing yawn — as in don’t worry about it, they make money even with the cash equivalent transactions…. and/or that the only fight was when a host of folks took advantage of the 100K promo that wasn’t aimed at them. But now you want to be the loudest chicken little on the planet proclaiming that the entire sky has fallen, that the ms universe at amex has now turned into a black hole…. that even if you don’t ms (whatever that is), then you too will get your life ruined, your points clawed back…. cuz there’s a new sheriff in town, and we all know that what the dictator says, then everybody knows it shall come to pass…. No need for panic, just a warning about being more cautious going forward. This is shady, unscrupulous business practice by Amex. Do they forget that their revenue comes from us consumers? I’ll file an arbitration claim on behalf of anyone because we are being treated like children who snuck a few pieces of candy before dinner. Are you an attorney? If so are you willing to post your phone number in case any of us want to take you up on that offer? Yes he is and he has written a good series of posts about consumer arbitration over at Frequent Miler. I’ll let him answer the phone number part! Email address would probably be even better. It looks like I have a clawback for a Gold Biz 75k offer that I MS’d on. I would like to email you about it Alexander. When did you apply for this Gold Biz card? Do these clawbacks only have to do with MR’s or have the co-branded cards, spg specifically, also at risk of this? I’ve only seen MR cards affected so far. I am just wondering what Amex will do when you try to close an account with a negative MR balance. Will they charge you $500 if you have -50,000 MR point balance, assuming they value 1 MR = 1 cent? @P – That is an interesting question. If they tried to charge you $500 for a negative 50K point balance, it would put a definitive value on points everywhere, and tax issues for points could appear. None of us want that. Amex may ban you for life from using their cards though. Don’t MS at level 3 stores if you’re really worried or buy from websites that have the word “gift card” in the name. Might be a silly question, but I’m a newbie so bear with me… What are “level 3 stores”? My 100k Amex plat suffered from clawback. Does that mean I can reapply for the card in the future(since Amex has once in a life time limit)? You can appeal to Amex, but if you have had the card before you aren’t eligible for a bonus even if you didn’t receive one.